BLOOMINGTON—When Elizabeth Werner came to Indiana University (IU) last fall as a freshman, her hold on her Catholic faith was tenuous. 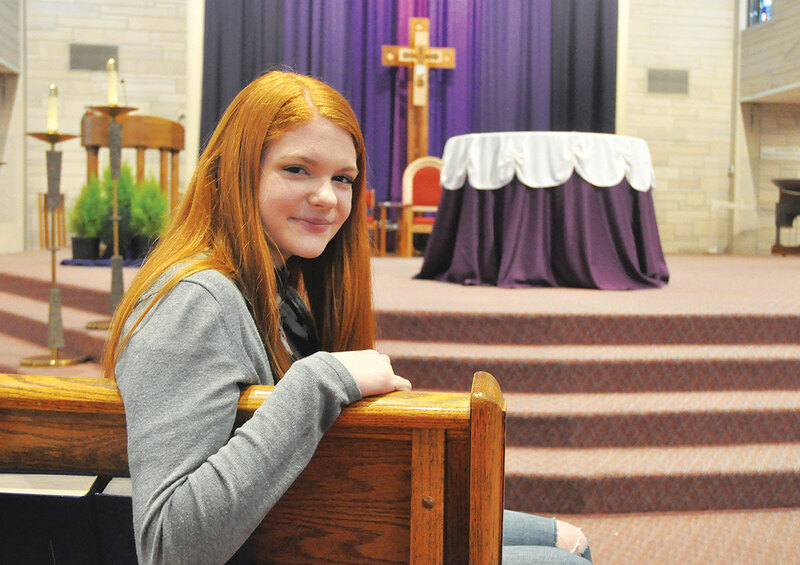 The parish in which she grew up in Michigan City, Ind., didn’t have a youth ministry program, and she had seen some of her older siblings walk away from their faith. After attending a Sunday Mass at St. Paul Catholic Center on the IU campus early in her first semester, Werner filled out a small information card for possible participants in a small student-led group Bible study. She was soon contacted about a group and joined it. “It was definitely a changing point,” she said. “I gained a lot of friends. I met people that I could just say ‘hi’ to. What a comforting thing that is. They were struggling with the same things that I am. Now she’s started her own Bible study group, seeking to bring other students like herself closer to Christ and the Church. Werner’s story has been repeated many times in the lives of other IU students this academic year as the campus ministry activities sponsored by St. Paul have seen a notable upsurge. To cite one example, last year there were 12 Bible study groups tied to St. Paul. This year, there are 43 groups. St. Paul’s staff members have also increased the worship, service and social opportunities for Catholic students at IU. Mass, the sacrament of penance and eucharistic adoration are available daily. Last year, there were 10 students through St. Paul in discipleship. This year, there are 52. 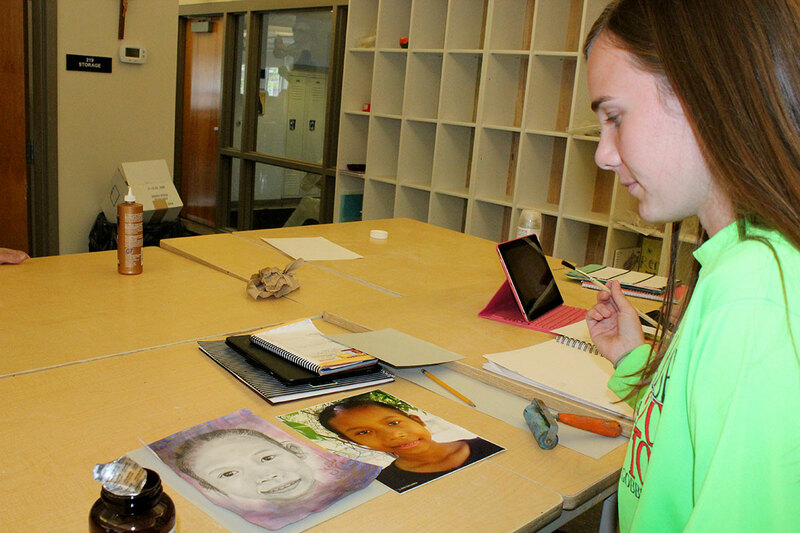 When Werner arrived on campus last fall, she at first gravitated toward some of her friends from Michigan City. She soon found that St. Paul offered many alternatives to the common college lifestyle. In addition to participating in a Bible study group, Werner attended a retreat sponsored by St. Paul, started regularly attending a Sunday evening dinner there and participated in social events it frequently organizes. 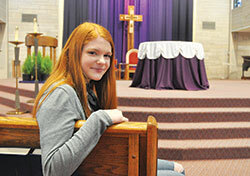 The parish also offers weekly service opportunities at nursing homes and Boys and Girls Clubs in Bloomington. Dominican Father Patrick Hyde, an associate pastor at St. Paul who oversees its campus ministry, has been freed up by the FOCUS missionaries to expand outreach to IU students. Last year, he was responsible for the Bible study groups and the discipleship training, duties that he said took up 75 percent of his ministry time. With the arrival of the FOCUS missionaries, that time commitment has gone down to about 15 percent. Among other things, he’s given more attention to retreats sponsored by St. Paul, which he said has seen “tremendous growth” this year. A significant sphere of life at IU that Father Patrick sees as a major area for growth at St. Paul is in its system of fraternities and sororities, which accounts for a third of the 49,000 students. It is one of the largest such systems on college and university campuses in the country. This year, there are six Bible study groups in the fraternities and sororities. Werner and the growing number of Catholic IU students embracing their faith are, to a certain degree, bucking a national trend which sees many so-called Millennials, those born after 1980, identifying with no faith tradition at all. Father Patrick, other staff members at St. Paul, the FOCUS missionaries and students active in campus ministry seek to offer a different path to the many IU students whose faith has taken a back seat. “Nature abhors a vacuum,” Father Patrick said. “And on campus, there really is a vacuum in which faith, morality, ethics and things like that are not really emphasized or are disregarded altogether. It ends up creating a great thirst for people who are seeking the truth. Dylan Arango, an IU junior from Fort Wayne, Ind., is involved in these efforts. The president of Hoosier Catholic, the campus ministry student organization at St. Paul that is responsible for organizing most its social events, Arango came to IU with a strong faith. Although he knows this makes him somewhat unusual among his peers, he’s not discouraged to reach out to them to share the faith. Father Patrick sees significance in the campus ministry he oversees not just for the students themselves, but also for the parishes to which they’ll go once their time at IU is over. While campus ministry at IU has the potential to affect the Church on a larger scale, Father Patrick and those collaborating with him know that it will come about at the personal level. Werner found that for herself in the Bible study group for women she joined last fall. All of the Bible study groups that the FOCUS missionaries help organize are grouped for men or women only. Werner likes it that way. That intimacy in faith only increases when students enter into the discipleship process, which is also overseen by the FOCUS missionaries. Werner meets with another female student who has already “been discipled” to help her grow in her faith, and to learn how to apply it in her daily life. It is in these relationships, in small group Bible studies and through many other campus ministry initiatives at St. Paul that a growing number of IU students are encountering and embracing the beauty of the Catholic faith.